Yo Gabba Gabba! is an American children's television show that premiered August 20, 2007. The series incorporates retro-style, beat-driven music to teach simple life lessons using a variety of characters who play and dance when they hear the magic words, "Yo Gabba Gabba!" 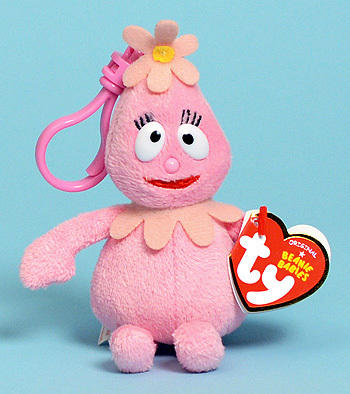 Foofa is a pink and happy female flower bubble. She loves rainbows and unicorns and plays the tambourine.